The University of Hawaiʻi celebrates at spring commencement ceremonies systemwide. The world’s first and only handcrafted oboe made of Hawaiian kauila wood makes its debut next month in an oboe concerto. The University of Hawaiʻi Office of Alumni Relations is launching UH Connect, a new networking platform for UH System students, alumni, faculty and staff. University of Hawaiʻi at Hilo undergraduate Alexis Cabrera won third prize out of 90 student submissions for her presentation at the Society for Applied Anthropology. Students from all 10 UH campuses are encouraged to submit designs showing what HI Pride means to them. A variety of events are scheduled throughout April, and on Earth Day, April 22. A five-minute video, features faculty and administrators involved in different and diverse facets of sustainability and resilience research, curriculum, operations and community engagement, and deep cultural connections. 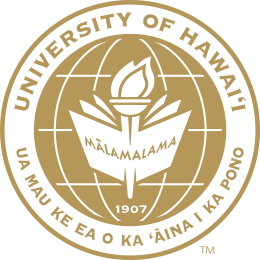 The University of Hawaiʻi celebrates April 2019 faculty and staff anniversaries. The once-in-a-lifetime opportunity to experience a collaborative artistic interpretation of the Polynesian Voyaging Society’s Mālama Honua worldwide voyage, composed by Michael-Thomas Foumai. Highlights include: efforts to reverse the Senate budget, cybersecurity, UH Mānoa merging three masters programs and more.